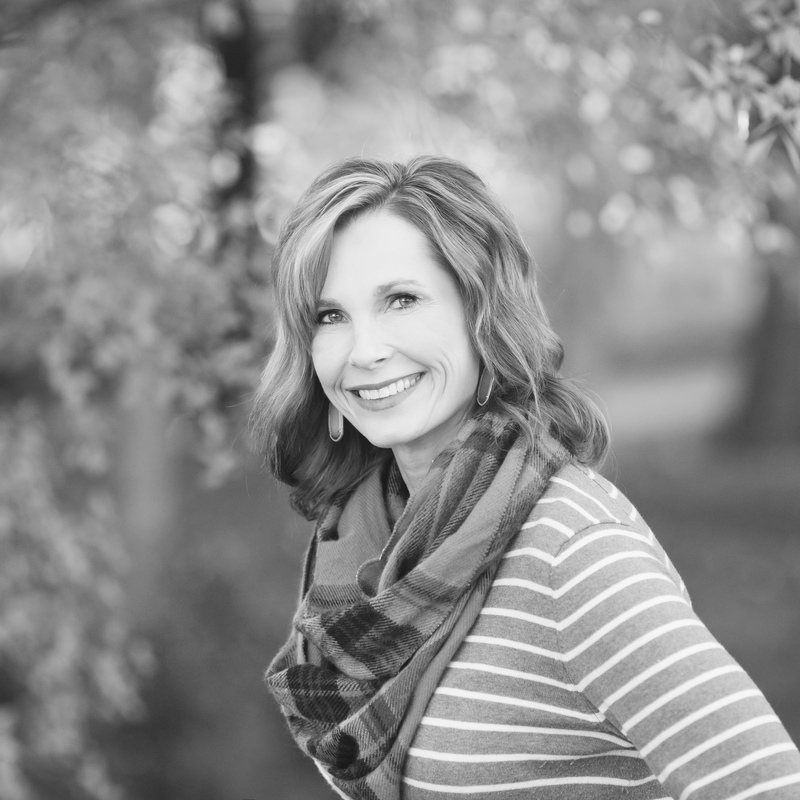 Today I am so excited to welcome Shelly Janac as a guest contributor to My Side of 50! You will recognize Shelly from most of the fashion round-ups I do. I love her fashion sense and she has given this “matchy-matchy” girl the courage to try some pattern mixing in her style – something Shelly does so well. But on her blog, The Queen in Between, she blogs about so much more than fashion. She shares who she is, about her family, favorite things she likes and all the ups and downs of being a working mom to 2 adult children and 2 who are still at home. I so admire her wisdom and transparency. 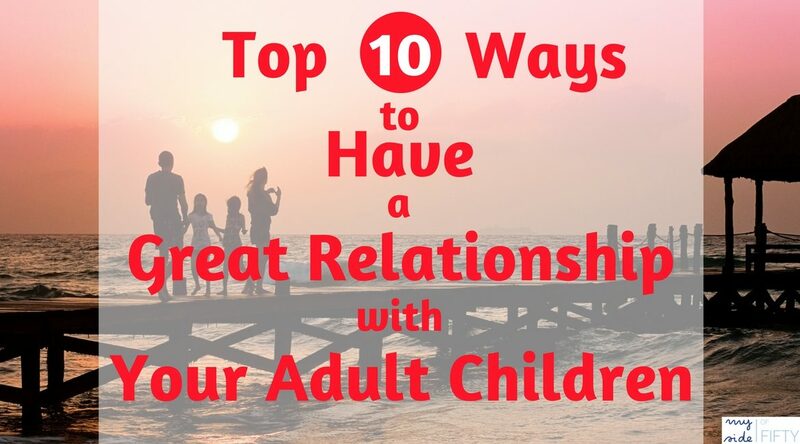 Read what Shelly has to say about the Top 10 Ways to Have a Great Relationship With Your Adult Children. One thing drawing Cathy and I together is we both know all stages of motherhood come with their own set of opportunities and blessings. Just when you think the diapers and sleepless nights will never end you are on to play dates and homework and navigating all that comes with the rebellious teen years and next thing you know you wake up as the parent to adults. To be honest, I truly believed if I saw my kids through college without anyone arrested or pregnant I could give myself a big A+ on motherhood and check parenting off my list! Wow, what a fool I was! Never in my wildest dreams would I have believed parenting adults would be some of the most heart-wrenching days of mom life. 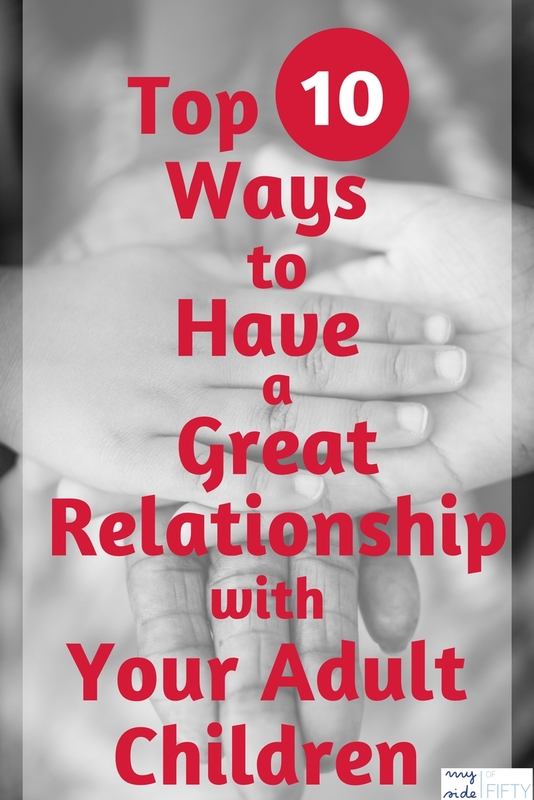 If you have some sweet children heading off into the unknown waters of adult life, here are a few tips for continuing to build relationships instead of building up walls. Set a standing date! Whether they are busier than you ever imagined or floundering in adulthood, setting up a set date on the calendar will ensure you have time to catch up. My older daughter lives in the same town but we have a standing dinner date to catch up once a month where she has my undivided attention. My son plays minor league ball and we stay connected using Facetime when he is away. This is not only for you to listen but also for you to share what is happening in your life. Be a true friend. Yes, you are still a parent first but as they move into adulthood if you really want to have a close relationship you need to treat them with the same respect you would a close friend. What does this mean? It means being honest and building trust. If your adult child shares personal feelings with you it is between the two of you only. Sometimes you may have to work on your poker face as the information may be, well, adult-like. It also means offering your opinion only when you are asked! Yikes, keeping my mouth shut is the very hardest. Accept their dreams may not be your dreams. As a mom, we want to see them utilize their gifts to achieve the highest results. What I’ve learned is sometimes the dream I have for them may not help them grow in the same ways the dreams they have will. The biggest relationship builder is supporting their dreams and offering your guidance when asked. Do not make assumptions! In this world where we are so connected with social media, it is easy to see a post on Snapchat and start dreaming up assumptions as to what may or may not be going on in their life. If they are constantly at the bar or always alone you can really start to create some not so pretty scenarios and, if I’m being honest, some big judgments. Scheduling one on one time together will give you the assurance you need as to their current state of mind. Get on their level. Since we are talking about social media, it is their generations way of communicating. Even if you are not into Snaphat, Instagram or one of million other platforms, taking the initiative to communicate in the way they are comfortable can really help you feel some connection. My oldest son loves food and shares the meals he cooks almost every single night and my daughter loves sharing videos of her with her puppy all on Snapchat. I look forward to receiving these little bits of their life! Support without coddling. What do I mean? Well, they are going to run into so many challenges from broken hearts to struggles in the workplace, to hard life lessons. Let them face the consequences of their own life. Drawing the line between supporting and guiding them as they work out a plan versus trying to take over and fix it all is so skinny. If it is a financial situation it can become even stickier. Just because you can bail them out doesn’t always mean you should. Trust them to make good decisions. You have spent years instilling your values and beliefs In them. Now, you need to sit back and trust they know how to make good decisions. I worried far too much about my children repeating my mistakes. My mom is always quick to remind me they are not me. They have their own brains and they know right from wrong and if they find themselves choosing the wrong path see number 6! Have your own life! Believe me, there is nothing lonelier than sitting around waiting for one of your adult children to want to hang out with you. I am still fun and interesting and FUN! There are still so many things I love doing that define me and it is also just an amazing time to remember all the things you enjoy. Giving your child a guilt trip for declining your invitation to hang out will do more to drive them away instead of drawing them closer. Put yourself in their shoes. If you take a step back to your young adulthood you will probably remember as much as you may have loved your family they were not your top choice for social time. Depending on where they are on their journey they may need to spend time nurturing their own new family or they may be enjoying the social perks of being single. Try to see their current journey through their eyes instead of your own. Pray for them! And for God to continue to give you the wisdom and words to support them. When they do ask for your advice and guidance you have to be willing to accept if they do not take it. Whether it’s a boyfriend you feel is not a healthy match or a career change that is risky, at the end of the day it is still their life. Accept they have the right to live it and then you pray. You may pray the truth is revealed to them or pray the right people are put in their path but think deeply about your prayer and be sure you are offering it for their best interest and not your own. As a bonus, I would say love them unconditionally and remind them of this every chance you get! At the end of the day, you will always be their momma. Shelly Janac is the mom to four amazing kids living in a sweet Texas town with her husband of 16 years. Shelly loves "oversharing" her life experiences and style and hopes to be a positive influence on others. She is constantly on the go and living the life in between her full-time job in higher education, carpooling kids around keeping the home fires burning. She blogs at The Queen in Between. Thank you again for having me Cathy! I’ve learned so much from Shelly! She’s an awesome mom and her kids love her so much! I love her blog, her perspective and her transparency! I’m grateful for these tips, some of which I apply to my teens already! Yes – some of them can certainly apply starting when your kids are teens! Great tips and I agree with every one of them – it’s so important to remember that they have their own lives and we need to make sure we invest in creating our life without them – sharing little chunks together is definitely the secret – not trying to live their lives for them. Yes, Shelly hit the nail on the head with this post! Leanne – I LOVE having a life of my own, as much as I love my kids and value a relationship with them! My parents didn’t try to live their lives through me. Such a great example! Christie – no true. It’s hard not to be affected when your kids are struggling, but it’s so important to have your own life and let them have theirs. My kids are close too! So glad they are. It isn’t easy accepting the fact that your children have become adults, Cathy. However, my daughter will be 37 and having her second baby in June and my son will be 36 this year. They have grown into very interesting people whom I am very proud of. It is lovely to develop a friendship rather than always being the parent. Thanks for sharing you advice with us at #BloggersPitStop and have a lovely week. Sue – I agree. I love having my daughters as friends. So excited that you are welcoming a new baby into the family! Thanks, Sam! Shelly did a great job on this post. This is wonderful advice! Thank you for sharing. It’s so important to tread that line and let them grow and have their own lives, yet still be there when they need us. 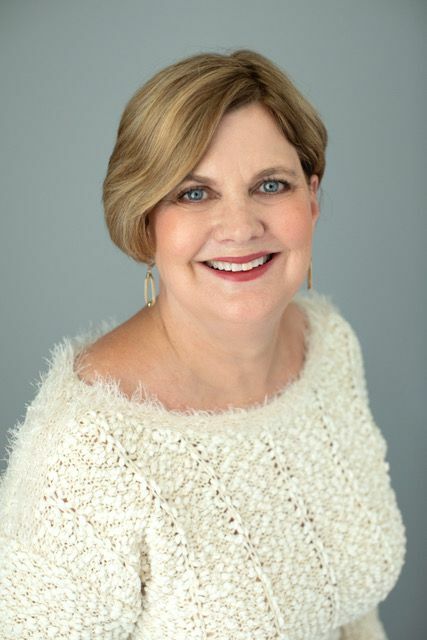 Lori – thanks for reading and commenting. Shelly has a great blog – The Queen In Between and I was so excited to have her guest post on this topic!